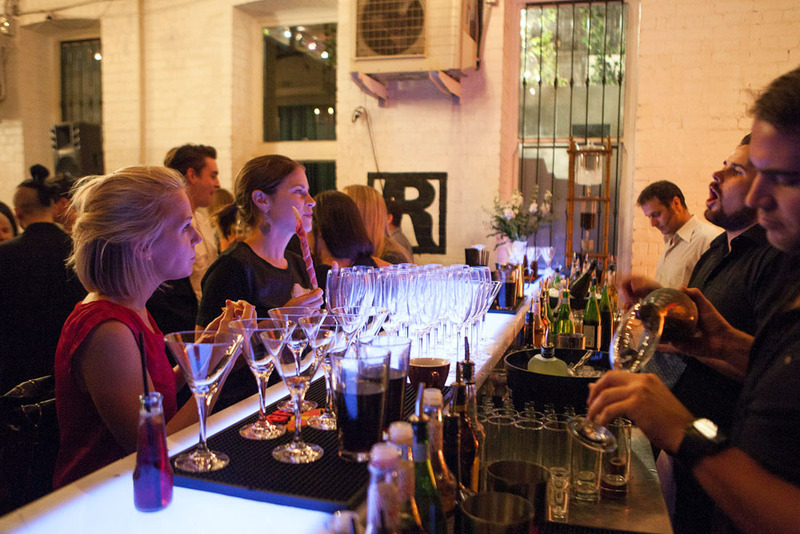 On a cold and squally kind of night we headed into the City of Perth to attend a Coffee Collections Evening hosted by Coffee Roaster, Silvana and Fashion Boutique, Dilettante. The evening promised a celebration of the art of life through fine coffee and fashion in an intimate setting and I am delighted to say this was certainly achieved, if not more! 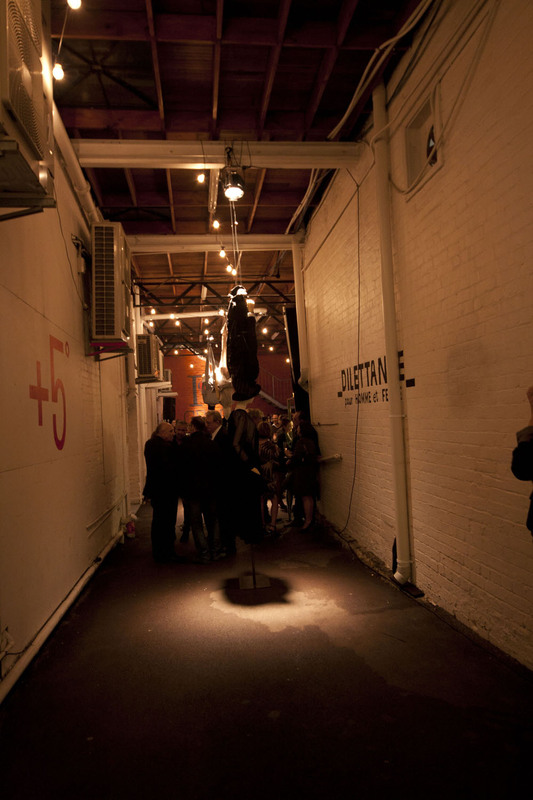 The evening unfolded in a lane behind Dilettante on King Street, known as the destination in Western Australia for high end fashion brands such as Louis Vuitton, Tiffany & Co and Chanel. 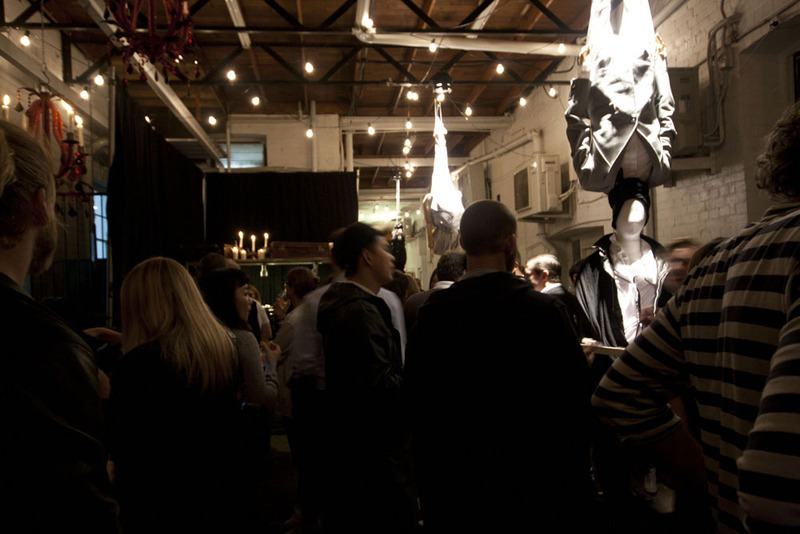 The lane was transformed into a gathering space with a long bar, coffee kart, black drapes, red chandeliers and suspended mannequins. There is something soothing about standing around in a warmly lit lane with the smell of coffee in the air, a bass player churning out soft tunes to a chattering crowd. On arrival we were greeted by a waiter bearing hold of the first drink for the night, a cold dark espresso martini. 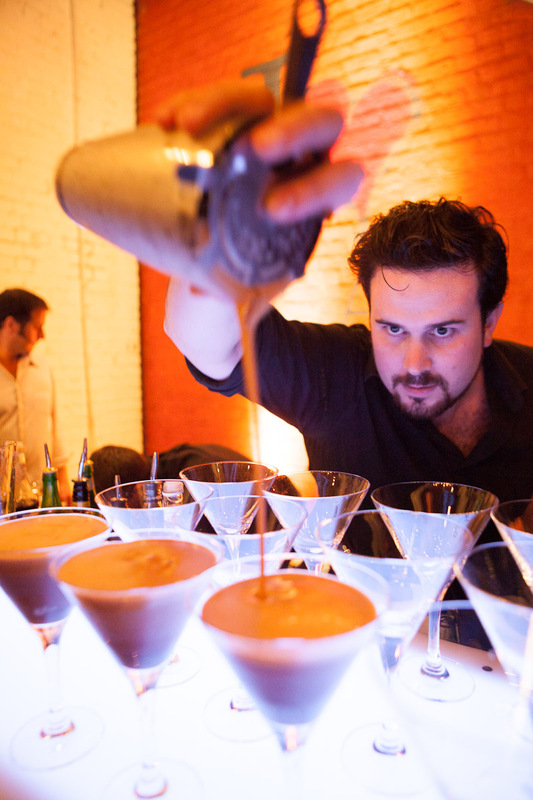 The martini was made using Silvana Coffee slowly extracted over a period of 24 hours through an ice drip tower. Just like a coffee machine, French Press or Cafeteria, the cold drip is another method for brewing coffee. 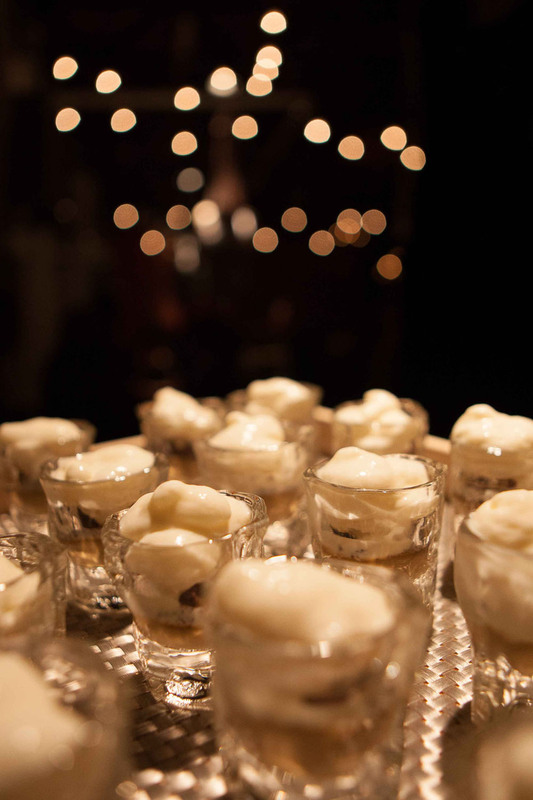 The result being a sweeter and temperature cold coffee, ideally suited for the martini that we were happily sipping on. The lane was shielded from the wintry weather outside and with a martini in hand we settled into the new surroundings prepared to sample the Coffee Collections. Next up we were served a cocktail named Il Gustoso Italiano ( which translates to the tasty Italian) and developed by Gary Beadle. The tasty Italian is made with Silvana Gran Caffe , chocolate and cherry liqueur. 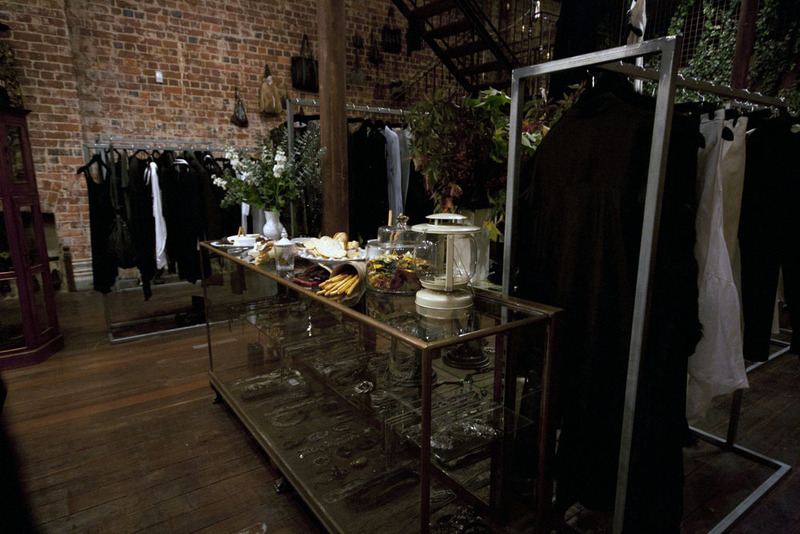 The party flowed into the Dilettante boutique, allowing us to admire the new season international collections of Boris Bidjan Saberi (Spain), Henrik Vibskov (Denmark), Ann Demeulemeester (Belgium), Peachoo & Krejberg (France), Vivienne Westwood Gold Label (England) and Tsumori Chisato (Japan). I tend to observe the architecture and interior of an establishment, perhaps I have seen one too many episodes of Grand Designs. The interior of Dilettante is classic and naturally raw with its high ceilings, solid wood floors and exposed brickwork. Dried flower bunches hang from the counter top in contrast to the greenery wall nearby. The carefully placed taxidermy animals may raise a few eyebrows but not with me, I love them! The continental spread was almost like a foragers feast with colourful berries, fruits, beautiful aged cheeses, breads, nuts, dry crisps, and dark chocolate. The spread was perfect for us to adjust our palates in between drinking the coffee beverages. Throughout the evening several of Silvana’s Perth fine dining venues provided a wonderful canapé selection to complement the coffee cocktails.The service staff were very keen to tell us about the delicate canapé and we were just as keen to learn. 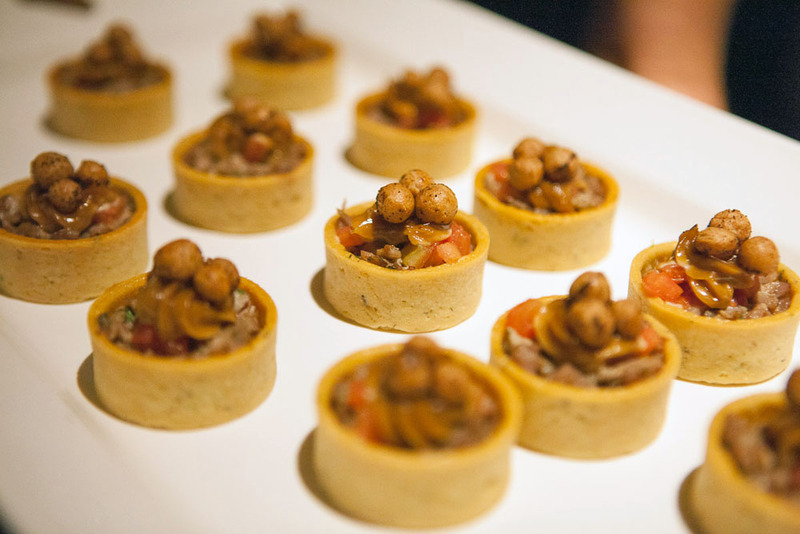 We immensely enjoyed the Coffee Macarons and Coffee Duck Tartelettes by Bistro Des Artistes. The macarons were incredibly fresh and so soft on the inside. 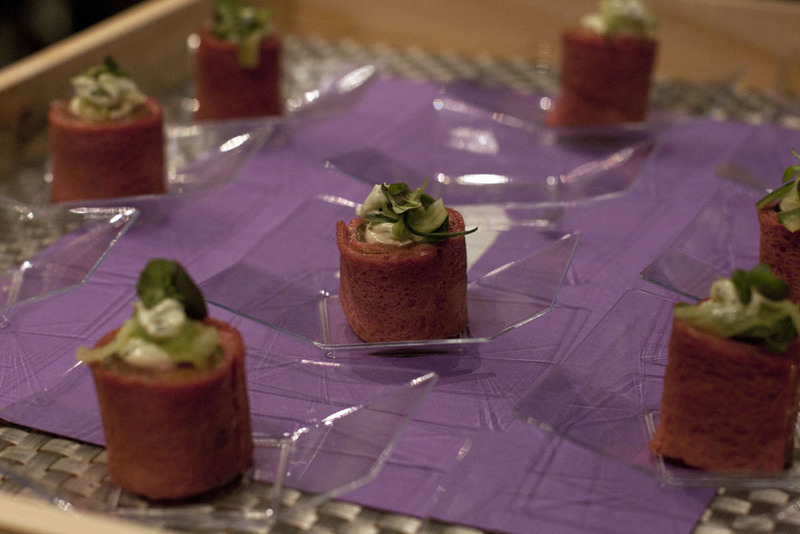 We sampled Fraser’s Middle Eastern Bresaola of rolled air dried beef with middle eastern spices and roasted beetroot. The Atlantic Salmon crepes were delicious and consisted of crepes rolled with baby spinach, lemon aioli, garnished with pickled cucumber. The whisky cappuccino was a multi layered delight of Silvana Coffee Brulee with a layer of chocolate crumble and popping candy, followed by a layer of vanilla bean ice cream with a whisky foam on top! Dk ate the canapé in one spoonful but I savoured the different flavours and the crackling sensation caused by the popping candy. We couldn’t help but have another one when the waiter returned with a second round. Offsetting the coffee offerings we consumed white chocolate berry blondies and blueberry and raspberry white chocolate brownies with a yoghurt ganache from Kitchen Events as well as Lemon Curd Tarts from Frasers. With work looming the next day I reluctantly or subconsciously switched to drinking an Italian Prosecco (dry sparking wine), the Carpene Malvolti Prosecco DOCG Extra Dry has been produced in Northern Italy since 1868. After the the coffee beverages the glass of sparkling was light and I welcomed the dryness of the Prosecco. 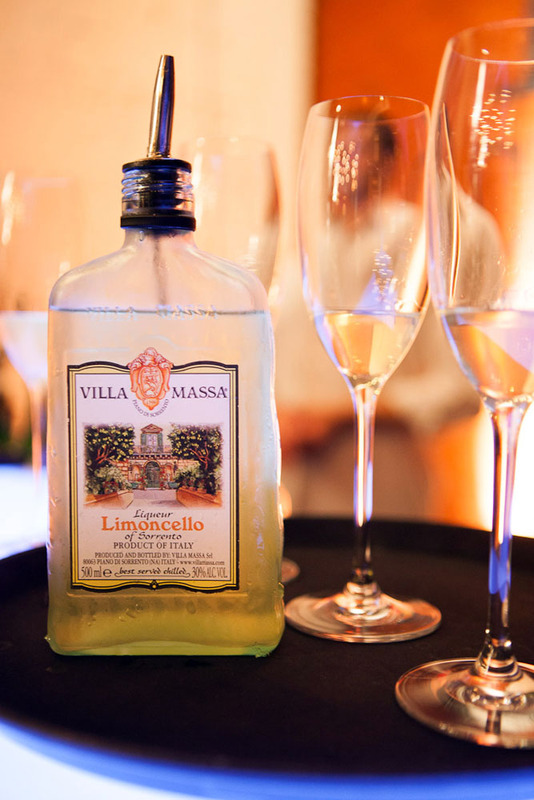 We ended our indulgent evening with a glass of ice cold Villa Massa Limoncello, a refreshing Italian Liqueur made of pure alcohol and infused lemon peels from the Italian town of Sorrento along the Amalfi Coast. The Limoncello shut down the coffee party in our mouths for the time being but later that night, the coffee affair continued with our minds wide awake from the vast amounts of caffeine that we consumed. Totally worth it! 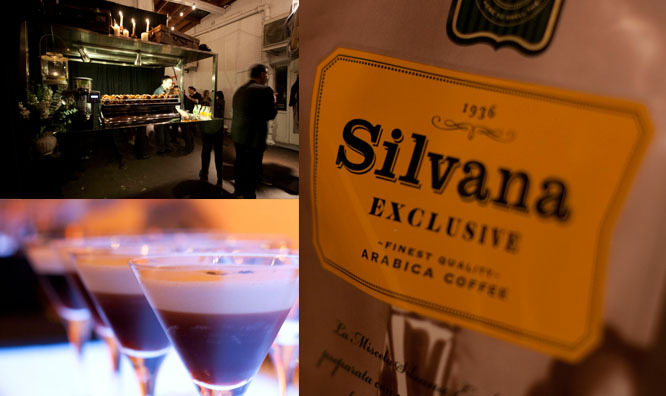 Through the circulating beverages and food we experienced the taste of Silvana Coffee undoubtedly at its best. 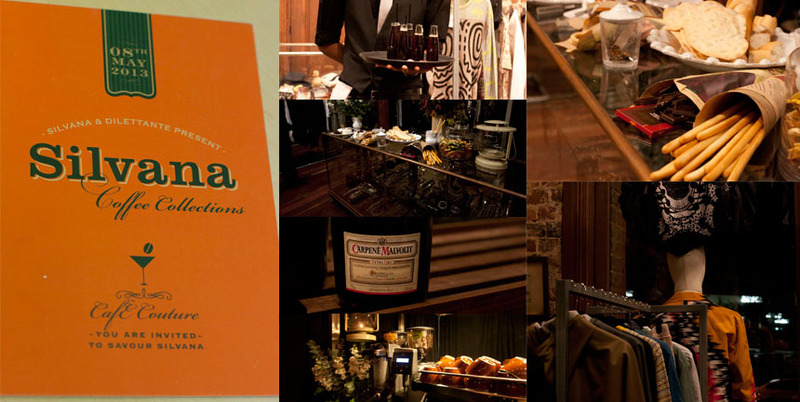 We relished the different ways that coffee can be incorporated into beverage and food. We were in Coffee heaven! I took some inspiration from the evening and hope to find some daring recipes to try out in the near future. I was impressed with the combination of duck and coffee as well as whisky and coffee. The brand Silvana is run by a local Italian migrant family whom are also behind the well known European Wholefoods and The Re Store in Leederville and Northbridge. The humble beginnings in 1936, roasting coffee beans in the Re Store lead the to the establishment of Silvana many years later in the 1980’s. 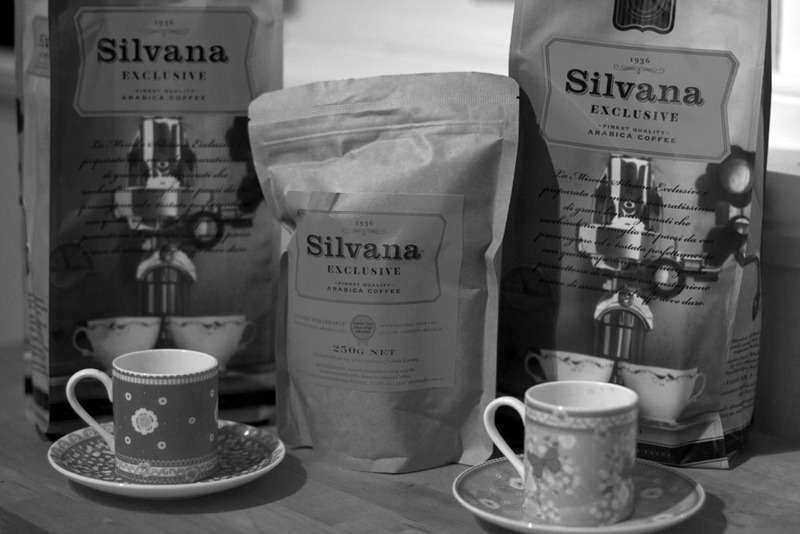 Currently three coffee blends are available; Silvana Originale, Silvana Exclusive (developed 2004) and Silvana Gran Caffe (developed 2009). Never forgetting the Italian Heritage and investing over a decade in developing the specialty coffee range Silvana have recently won awards from the International Taste & Quality Institute in Brussels for their superior artisan blends. Silvana is considered a roasters blend which means the Arabica beans are roasted in the Northbridge roastery on a daily basis. To most connoisseur coffee drinkers, a perfect coffee is brewed very close to the roasting of the beans. The profile of the Silvana Coffee is true to the Northern Italian coffee culture, it is full bodied, smooth and brings about an aroma of dark chocolate and toasted nuts.